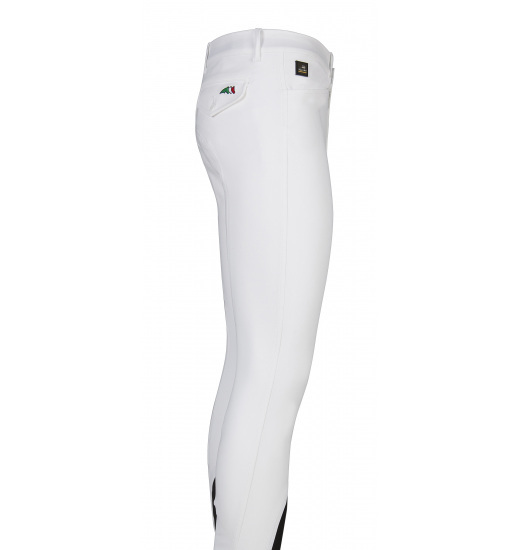 Material with an innovative E-Plus Superior technology created by Equiline was used for the production of men's' breeches Gafon. 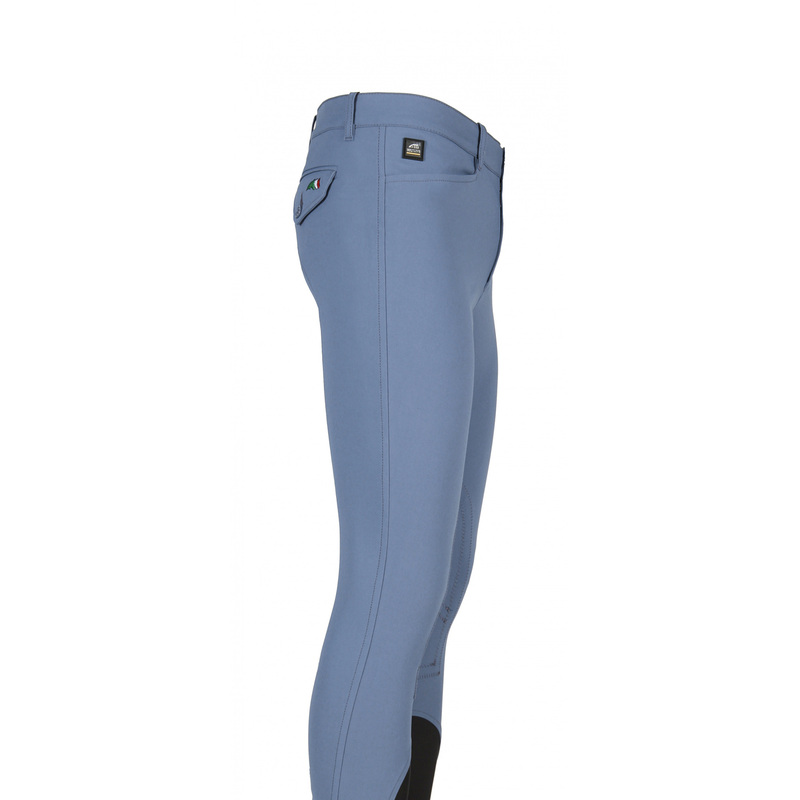 It provides not only excellent durability and comfort, but most of all perfect stabilisation in the saddle. 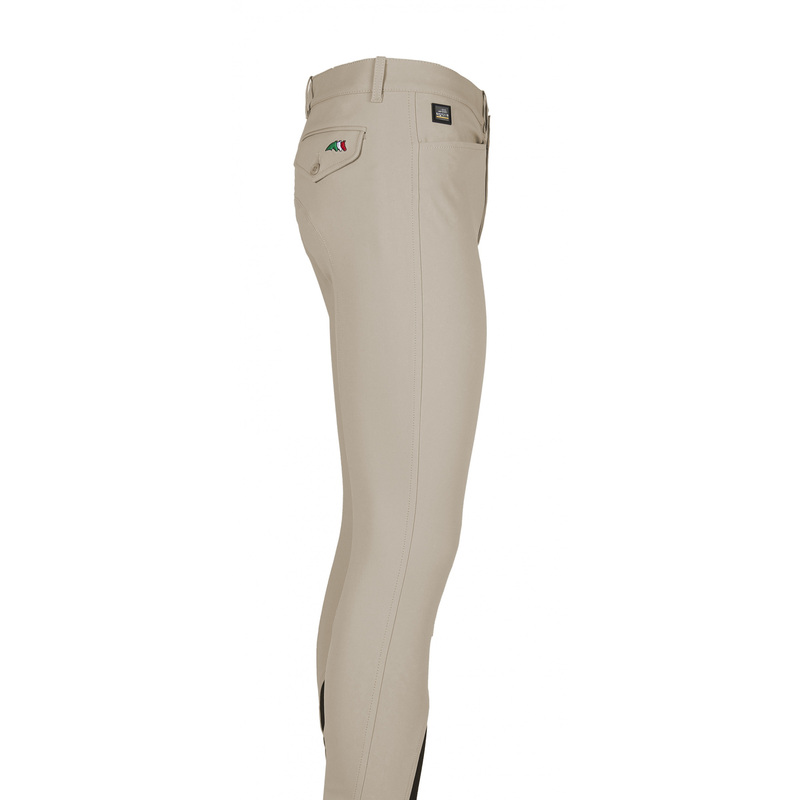 The breeches are additionally strengthened from the inner side of the knees. 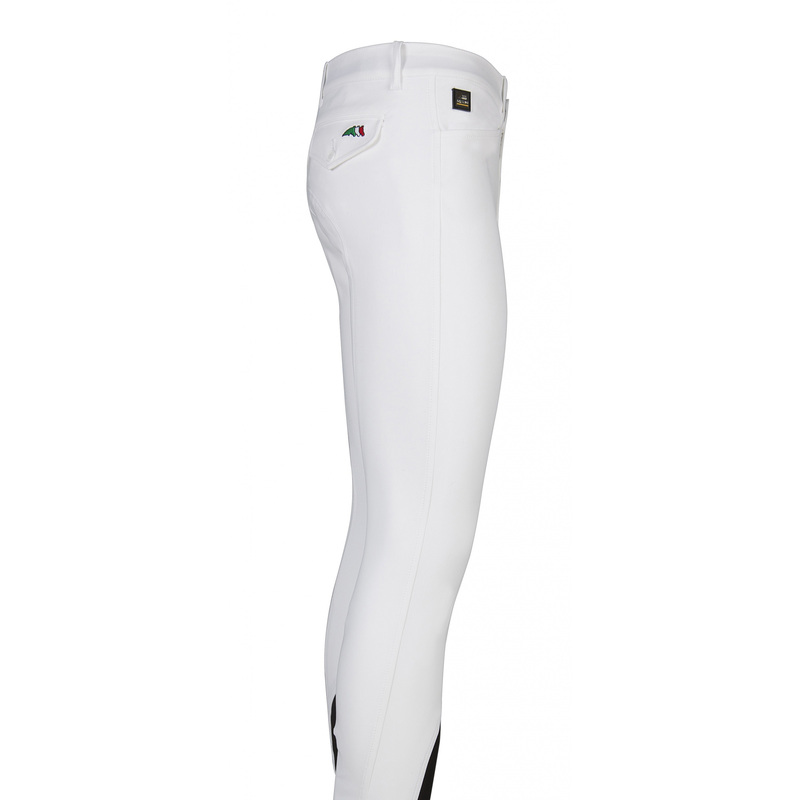 Thin and elastic material is used at the calf level, which allows the breeches to fit without the necessity of using velcro at their bottom. 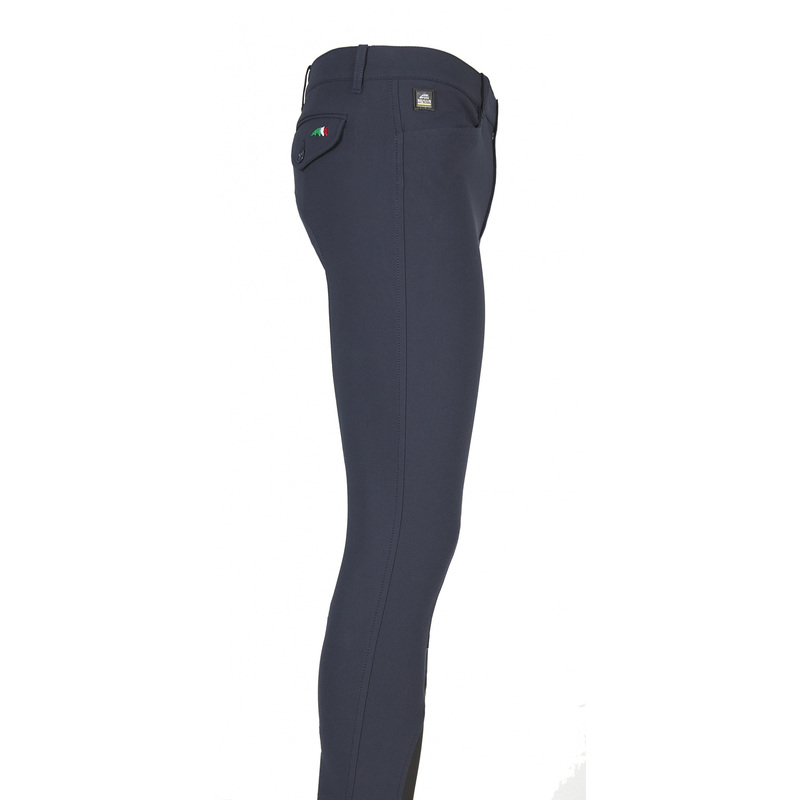 A tricolour Equiline logo with three horses' heads in on a back pocket.